When it’s hard to find a good trade, sometimes the best trade is no trade. 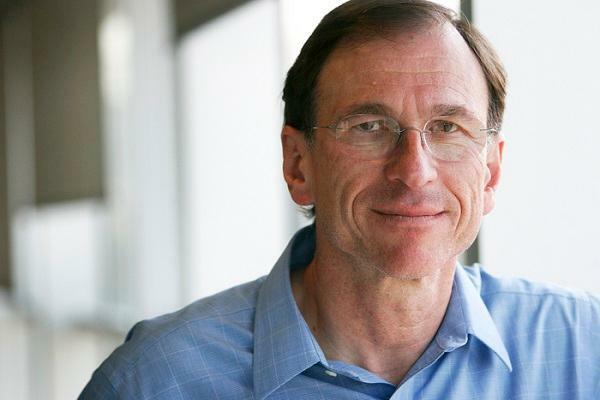 This is the subject of a new book by futures and hedge fund expert Jack Schwager. The title is “Market Wizards” and we sat down with Schwager recently to discuss investment strategy and new disruptive technologies. Bobby Monks: You have written about “the importance of doing nothing” as a key component of investing successfully. For those unfamiliar with the concept, when conditions are unfavorable or when an investor can’t identify opportunities for a good trade, the best bet is to do nothing. Why do so many investors, including professionals, have trouble adhering to this strategy? A great example is Kevin Daly, who, when I interviewed him for “Hedge Fund Market Wizards,” had achieved a cumulative gross return of 870% in the 12 years since the inception of his fund in late 1999, a time interim during which the S&P  was about breakeven. And even though Daly is an equity hedge fund manager, implying a manager who trades both from the short and long side, shorts were always a very small part of his portfolio, almost invariably a single-digit percentage of the portfolio. Although Daly’s stock selection contributed to his success, being out of the market when the environment was highly averse to his strategy was the key factor underlying his superior performance. Or, in other words, the trades not taken were more important than the trades taken. Odds are that the best performers will be sector funds in whatever was the hottest sector during that past time frame. But based on research detailed in my book “Market Sense and Nonsense,” on balance, one would actually be better off choosing the worst-performing sectors or strategy categories for hedge funds than the best-performing ones. B.M. : Although you are a legend among professional traders, you are perhaps best known for writing “Market Wizards” and a series of other titles in the series. Your next book, “Undiscovered Market Wizards,” incorporates some unorthodox research to identify today’s market wizards. How are you using FundSeeder in conjunction with the book? J.S. : FundSeeder Technologies was launched with a primary mission of providing a venue for skilled traders worldwide to be discovered and to have their results verified via daily data transmissions directly from brokers. The underlying motivation for this project was certainly not to help source material for another “Market Wizards” book but rather to disrupt the status quo of the vast majority of investor assets being shepherded by a small number of financial intermediaries into the same small group of large asset managers. In the current model, a skilled trader without the proper pedigree or connections has virtually no chance of attracting investor assets. In this sense, you could say FundSeeder’s mission is to democratize and globalize the asset management business. Now, as a side benefit, insofar as FundSeeder is successful in its mission, it would identify previously unknown traders who are worthy of inclusion in a “Market Wizards” book. Also, the potential for such inclusion would in itself serve to attract talented traders to the website, which, in turn, benefits the core mission. Since I have been getting questions of when “Undiscovered Market Wizards” will be available, I should clarify that the book is neither imminent nor my next book, which will be a 2016 revision of my 1984 book, “A Complete Guide to the Futures Markets.” We have only just launched the new FundSeeder Technologies website, which provides traders with a suite of graphical and analytical tools (some proprietary) and offers direct links to a broader range of brokers. It will take a couple of years of the new site operating to properly be able to identify candidates for the next “Market Wizards” book, even allowing for the implicit assumption that selected traders will have track records of some length before initiating their FundSeeder accounts. J.S. : First, let me elaborate on my criticism of leveraged ETFs because I think these are dangerous for most investors who don’t understand how they work and not because of the leverage but rather because of the adverse effect of the mathematics of compounding inherent in their structure. I am sure that many investors who buy leveraged ETFs are surprised to discover that they can be right on the market direction and not only fail to enjoy a leveraged return but actually end up with a loss. Regarding hedge funds, I don’t want to be a defender of hedge fund fees. Incidentally, I think the problem here is not so much the magnitude of fees — there is nothing necessarily wrong with 20% or even 25% incentive fees for superior performance, which is not subsequently surrendered — but rather that large incentive fees can be collected and then be followed by losses in following quarters without any offset for the investor. The article was originally published by The Street.com on April 28th, 2014.